Specialty Lifts are designed for certain applications where the standard vertical or elevator boat lift is not the most appropriate method of lift due to restrictions or personal preferences. Imm Quality Boat Lifts currently manufactures three types of specialty boat lifts, each one unique to a specific application. 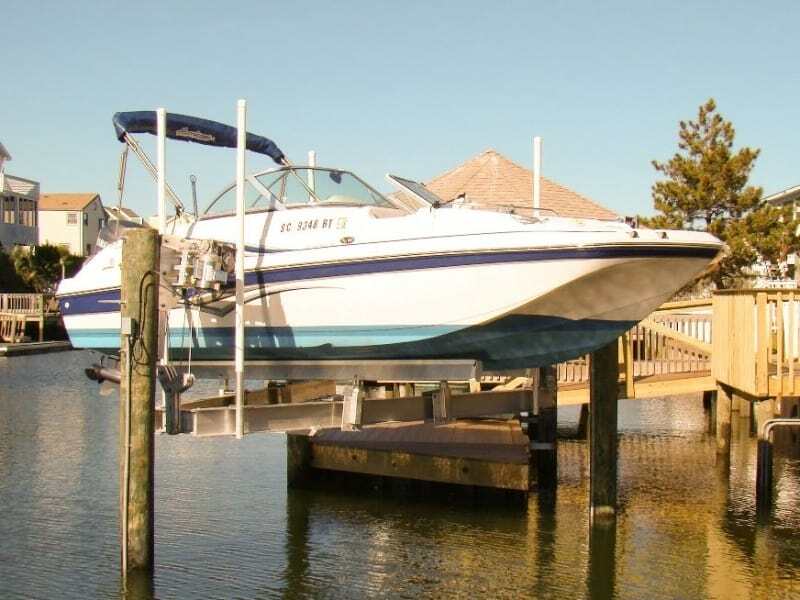 The Trident lift is a three post boat lift designed to comply with triangular riparian setback limitations and allows easy navigation in and out of the boat slip. 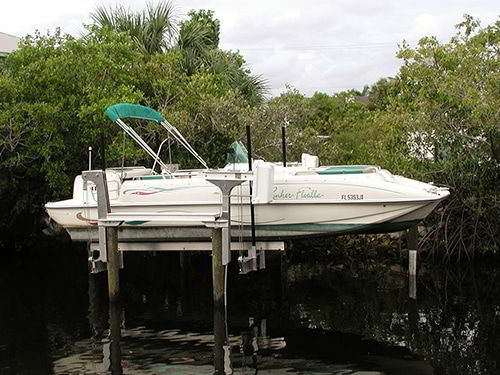 The Beamless lift is preferred by many homeowners because there are no upper lifting beams to duck under or step over when accessing the boat. Another advantage to not having an upper lifting beam is that there is no obstruction of the waterway view. The Marine Railway is ideal for beach access or other gradual slope conditions where there are no deep water docks or seawalls. 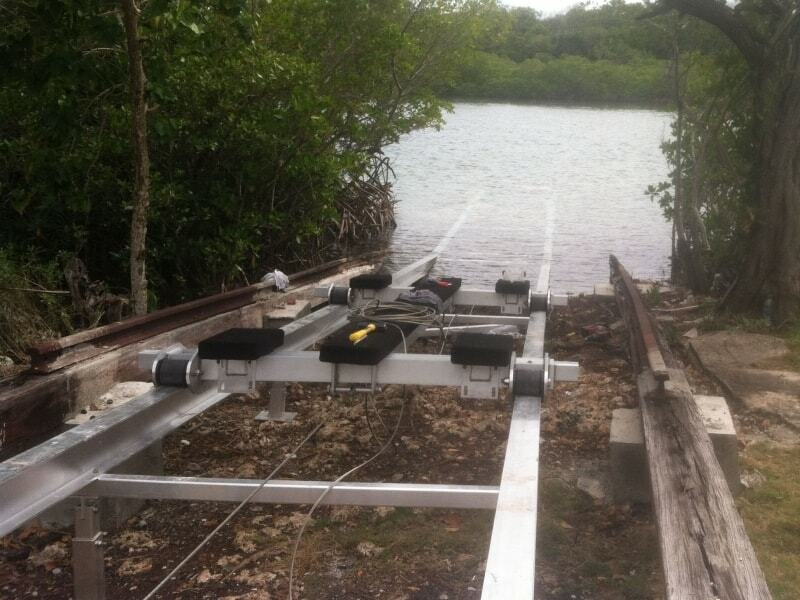 This unique type of lift is often used to pull boats or seaplanes onto dry land, into boat houses or inside garages. To read further about the above Specialty Boat Lifts, click on the labeled navigation tabs in the drop down menus above or on the images below.